U.K.-based punk rockers, COUNTERFEIT. have made a name for themselves across the pond and are ready to conquer North America. Check out the list of dates below! 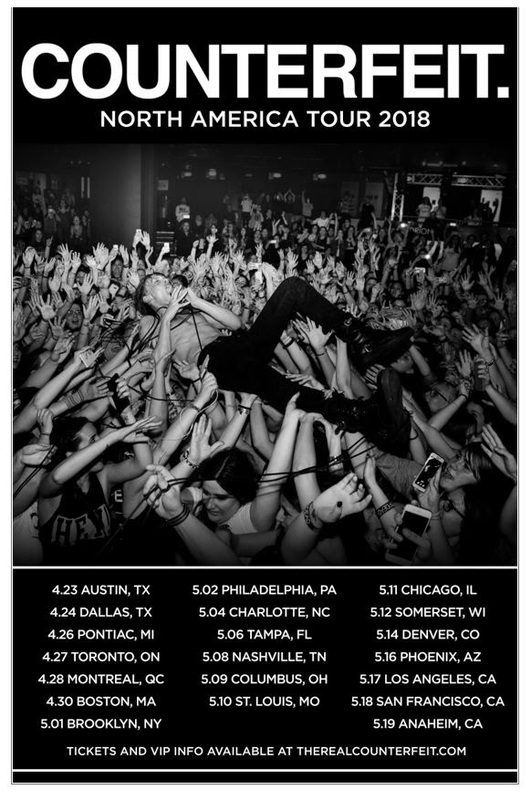 "We are stoked to announce that we'll be bringing the madness and mayhem that is Counterfeit. 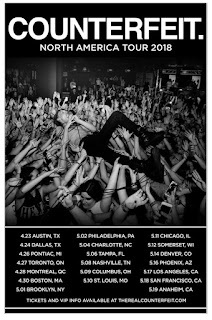 to North America for our first headline tour in April and May. We are taking no prisoners… this is bound to be wild, to say the least, and we're pumped to get out and thrash. We'll see you down the front or in the pit,” says Sam. VIP packages will be available for all headline shows. The VIP on-sale will be on Wednesday, January 24th at 10am local time. Ticket info can be found at www.therealcounterfeit.com.